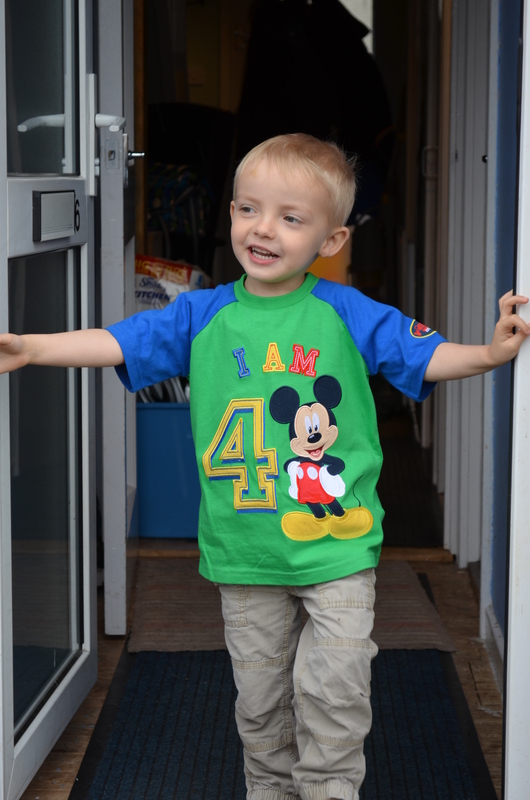 Lachlan is now 4 years old and in his final year of Early Years Education (formally known as Pre-school year) we are now six weeks into the first term. Lachlan is happy, settled and just loves his playgroup this is his second full year there, he loves the ladies who teach, support and care for him and he loves the other children. I am now glad we didn’t pursue a place in an additional needs setting for Lachlan, I think the other children have learned as much from Lachlan as he has learned from them, as a parent I have been deeply touched to watch Lachlan develop relationships with the other children, who are yet to young to understand why Lachlan is different, sometimes they join in Lachlan’s games and they watch out for him too. There were so many obstacles, in the beginning it felt like too many to possibly overcome. In all honesty Lachlan and I were terrified. 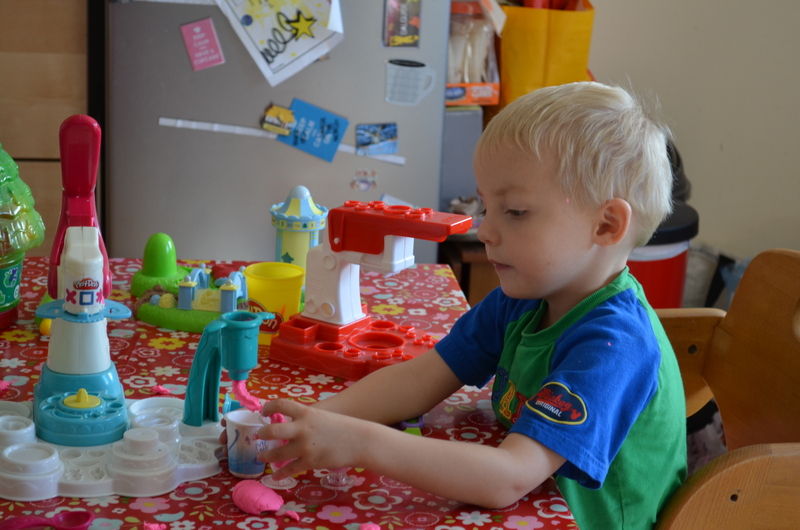 After Lachlan’s first afternoon my heart broke harder than it had ever broken before, I realised that day just how different and behind his peers Lachlan was and I had no idea how to make playgroup work. I will never forget that day, looking back on it though, it shows just how far Lachlan has come, it proves what seemed impossible can be possible. Lachlan can talk, in short sentences, everyone who works with Lachaln has fought so hard to get Lachlan speaking one of my biggest fears was how Lachlan would communicate that he was hurt or something was wrong at playgroup, I am amazed to say Lachlan’s solution is to say “I bumped,” sometimes while holding the “bumped” arm, leg or head. “I bumped,” we have worked out also covers, that something hurts, this has solved a lot of frustration on both sides as now when Lachlan is becoming unwell he lets us know, something is bothering him. Lachlan can say in words everything he wants these days, the frustrated “Un’s” have almost gone completely, he is beginning to ask for things too, his favourites at the moment is to say, “I need a biscuit, crisps, cake”, “I need juice”, “bum change”, “build a house, lego”, “go out”, “need a kiss” and my favourite “me and my mummy”. Lachlan hardly ever cries, hardly ever covers his ears, very rarely headbangs and at playgroup instead of hiding from others he actively looks for interaction from the other children and staff, he has learned to sit reasonably well at snack time and latterly sits very well at story time, especially if a “Meg and Mog” book or “Maisie Mouse”, I honestly would not have believed it possible in such a relatively short space of time that Lachlan could come on so much had I not been a part of the journey. Don’t get me wrong, there are still many battles to be won, currently everyone working with Lachlan is trying to get him to drink from a cup without a lid, we know he can do it as we have caught Lachlan swigging from abandoned glasses of juice at home and drinking the bath water from his bath toys, but he just won’t do it from a cup! Safety is a huge issue, Lachlan has 1:1 support at playgroup full-time, unfortunately for all his care givers Lachlan’s climbing ability is outstanding, he has no concept of height, loves to jump from high surfaces, hang’s upside down at every opportunity and loves doing headstands, I have yet to try it but Lachlan really is convinced certain programmes on TV just have to be watched upsides down! Outdoor dangers are another huge concern, as Lachlan has no sense of danger, he still wants to walk straight into the river or out into the road. We have a buggy which is now rarely used and if out on foot we always put a harness with a line on it to act as an extra pair of hands. 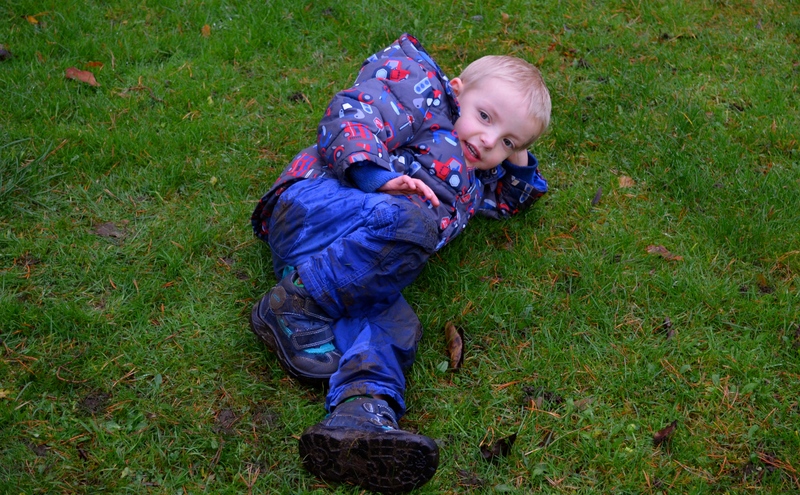 Toilet training is a disaster, did you know how much fun it is to be able to make ones own puddles to play in?? Eating is still hard going, though after a huge regression due to illness, Lachlan is now back to making slow progress, he will eat anything provided it is mashed, his dairy, egg, gluten and soya free diet continue, Lachlan’s favourites are “Hairy Bikers Sausage Casserole” and “Beef and Ale Stew”. 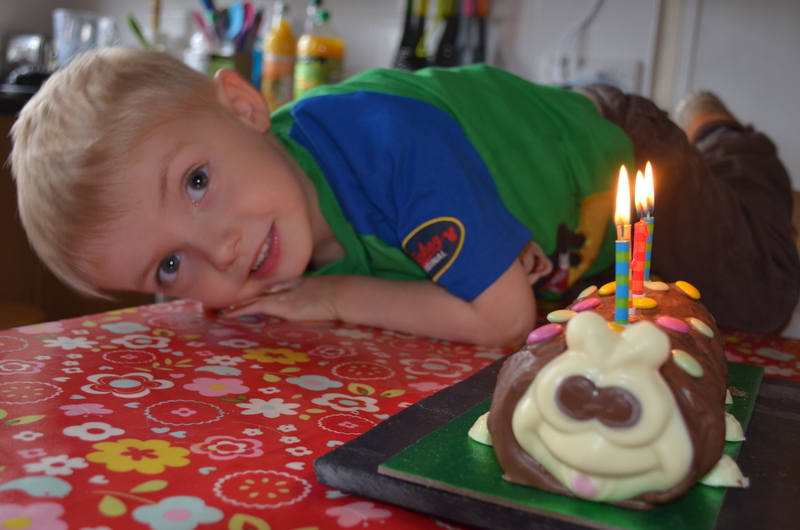 I was touched and delighted recently that Lachlan has been invited to Birthday parties, we go along and do our best, we have managed three so far, Lachlan loves parties! I have heard of and seen two occasions in the last week where Lachlan has wanted to share an activity with one of the playgroup ladies, it was heartwarming to see him go and “ask” the ladies to join in with his games. Our kitchen is covered in all the paintings Lachlan has painted for us, I still have the very first one he ever did. 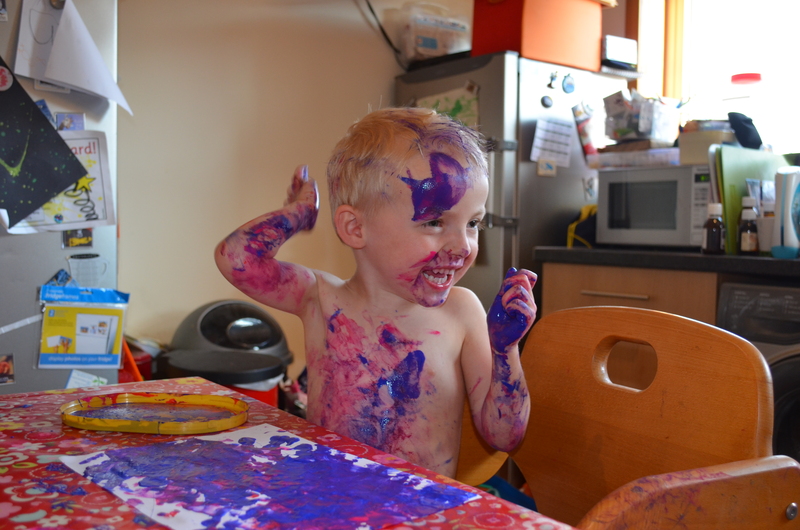 Going near paint used to result in a complete meltdown from Lachlan. The photos below show just how far he has come. 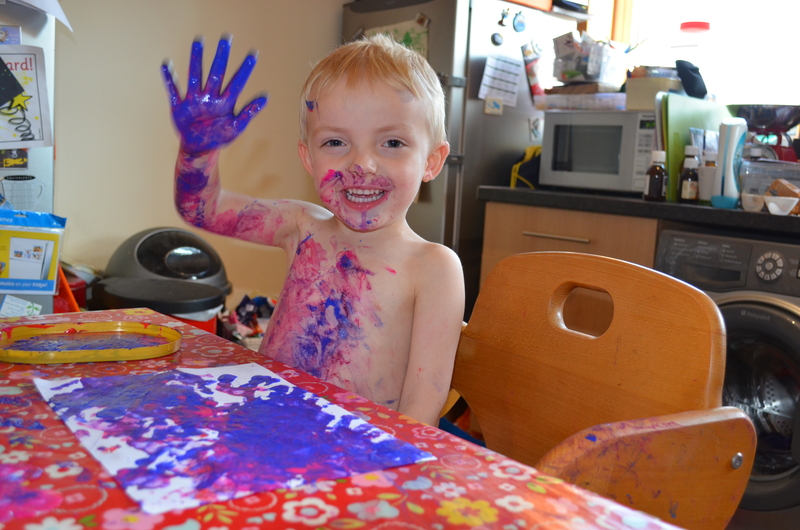 Lachlan now loves paint. I guess what I am trying to say and prove in this post is, anything is possible, never give up trying, never give up hope……. I know in my heart Lachlan will be all he can be, I have no idea where this journey will take us but we will travel together. I, for a long time felt completely out of my depth with Lachlan, I now believe I can and do make a difference, especially with a little help and guidance from the wonderful team of people known in our house as “Lachlan’s angels”. Sometimes it’s all just too much……. Today was Lachlan’s big review meeting and I fell apart in the middle of it! Somedays I feel trapped in a living hell! Take your eye of the ball for a nano second and I guarantee Lachlan will no longer be engaged in the activity you left him at. His current favourite is the dogs bowl! The door goes, the phone rings, you need the loo, on return all hell has broken loose! I always make sure Lachlan is never in any danger, we are all very aware, but it is exhausting, I don’t even switch off in my sleep, the other night my older son got up to use the loo, I heard water and flew out of bed panicking Lachlan was puddling in the bathroom, this is at 4.00am! Lachlan was of course sound asleep at the foot of our bed oblivious to the fuss. Poor Hamish got the fright of his life! I am so angry with myself….. I should have seen it coming, I have been listening to Guns and Roses November Rain, Let it be by the Beatles and lots of P!nk up loud in the last few weeks, my music therapy you could say, a warning that I am struggling though. The worst bit is I fear I have hurt a few of the wonderful allies who fear they have upset me. 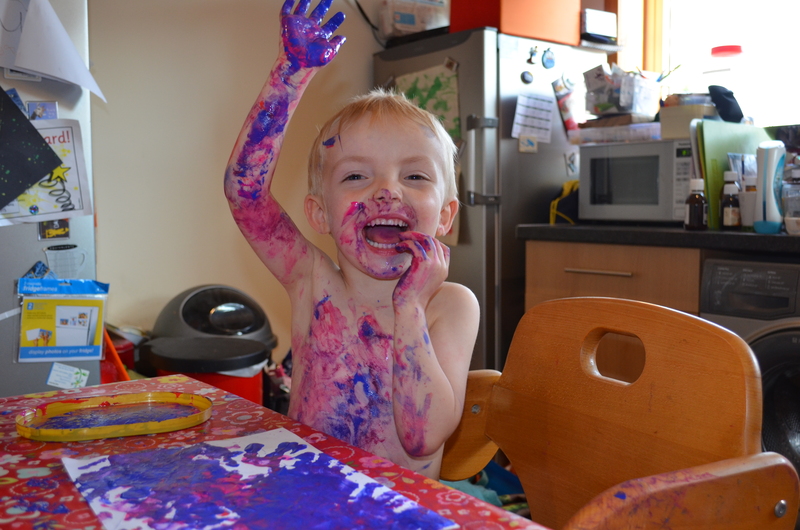 The day I taught my little nephew to ride his bike without stabilizers, I was so proud in that moment I couldn’t have been prouder of that wee lad, but then it hit me, I might never teach Lachlan to ride a bike…. The conversations I have with my nephews when they want to tell aunty Vicki something, I am delighted they want to tell me, then later on I wonder will Lachlan ever tell me about his day in the same way? It hurts. No matter how had I try to not let it, It really does hurt. It is the constant immense pressure I feel under to keep pushing Lachlan on, all if Lachlan is doing so well and is happy can’t we just stand still for a little while? Lachlan is just a little boy, my little boy. Today it all just got too much, my guard slipped. 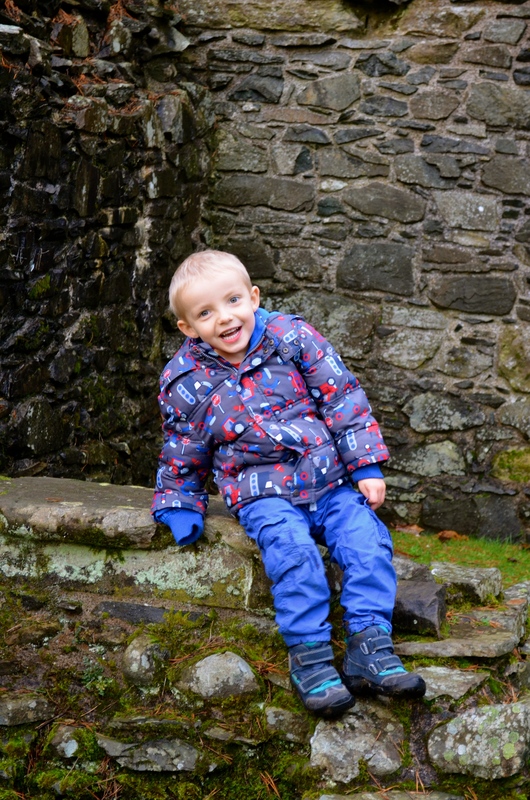 After the introduction of the weighted vest, life for Lachlan slowly improved, we were to learn that we had to overcome the sensory issues before we could move forward. As a parent I was to initially fight and question the need for sensory chews and deep pressure massage, perhaps I was still in denial, I just didn’t want my wee man to stand out from the crowd. Our home visiting teacher gently pushed the issue of chewies, she was right Lachlan needs to chew, the first silicone pendant chewies I bought were destroyed in hours, our OT produced some awful looking ones which were like coiled phone cable in vivid colours, I hated them even more than the silicone pendant ones, but they worked and seem to last, I hated the look though, especially as Lachlan likes to chew on one side with chewie just hanging there. I hated going out and about and folks staring, I felt we were often stared at because Lachlan looks too big for his buggy, the chewies in my mind only made this worse. In time I realised though that it is other folks who have the problem, I accepted that if it helped Lachlan live in our world and eased his suffering then so be it, I could live with chewies. After Easter Lachlan had 1:1 support at playgroup so I no longer had to stay, this was great on one front as I got a break but not so great as I had no idea what Lachlan had been up to and if he was happy, Lachlan was not to happy at me leaving initially either and it hurt to leave him crying, even knowing that staff would phone if he didn’t settle after 5 minutes. We continued our battle for 1:1 funding for initially three sessions from the August, I felt a bit disappointed that was all we were likely to get as Lachlan would be three therefore entitled to a funded place which meant 5 afternoons in theory but without 1:1 that couldn’t happen. 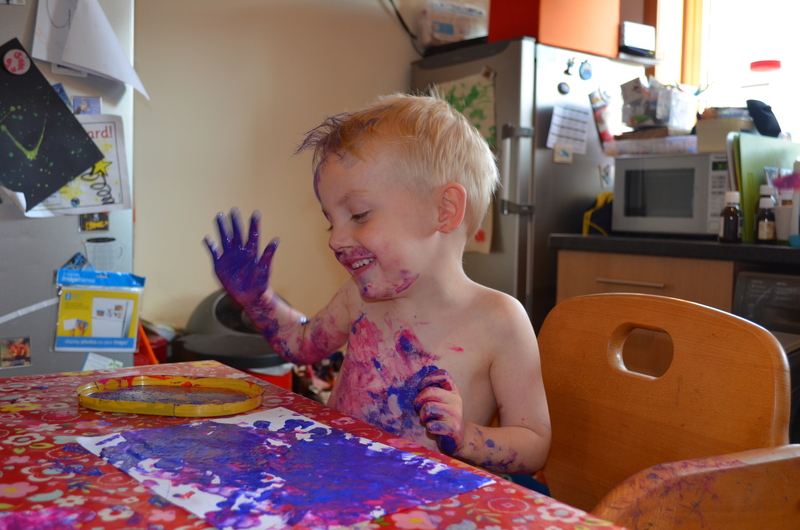 Lachlan started three afternoons a week in August and quickly settled and was happy to be left, so much so that come October he upped his sessions to four afternoons and then after Christmas the full five. The funding was finally resolved in November something that I am still annoyed about, no parent should be left wondering if her child can go to nursery the following week as the initial funding had ran out.